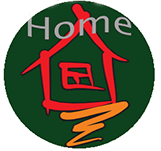 HomeofShanghai Housing Shanghai seeks an Property Marketing Intern to be an integral part of the Team and to work closely with the Online Marketing Manager, Sales Manager, Consultants, Company Director and Web Developers to realize the online marketing strategy. The role of Property Marketing Intern will encompass contributing to the marketing strategy specifically from an online and social media perspective, being responsible for the companies property listings. You will be given the opportunity to show your skills and motivation. Our team is like a family and we have a great office atmosphere, while we work hard we also help each other and rely on each other. please contact us via hr@homeofshanghai.com. and mark out your earliest possible date of join.